Rumplestiltskin, also nicknamed Rumple, is one of the main characters of Once Upon a Time. Rumple was once a normal man turned evil by the Dark One's magic. After losing his son, he became obsessed with making deals, and, more so, collecting in on them, most of which aided his ultimate goal of being reunited with Baelfire. 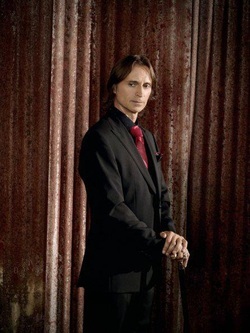 In the town of Storybrooke, Maine, after casting of the Dark Curse, Rumplestiltskin lives as Mr. Gold, the enigmatic owner of the local pawn shop, as well as the town itself. Gold remains aware of his life before the curse, and plays a key role in breaking it so that he can leave town and be reunited with Bae, with his need to satisfy revenge often getting in his own way and leading to events such as him bringing magic to all the town, as he views it as power.